The courts in Finland are divided into general courts dealing with criminal cases, civil cases and petitionary matters, and administrative courts adjudicating administrative acts such as tax decisions issued by the Finnish Tax Administration (FTA). Further, the specific feature of tax litigation in Finland in comparison with other administrative appeal proceedings is its particular focus on the rectification of a decision issued by the FTA. As another feature, the taxpayer is required to file a claim for adjustment to a special administrative body, namely the Board of Adjustment (the Board) before entering into court proceedings. Even though oral hearings may be requested and applied for, litigation in tax matters is mainly carried out through written proceedings. Further, as the resources of the courts and other authorities engaged in appellate proceedings are often limited, one should prepare for long processing times and prolonged uncertainty. In general, tax litigation proceedings may take several years, which can lead to excessive costs and practical complications for taxpayers. Tax assessment decisions may in general terms be negotiated in advance with the FTA. For example, taxpayers can enter preliminary negotiations with the Large Taxpayers' Office, which is part of the Corporate Taxation Unit within the FTA. Corporate taxpayers may discuss a variety of tax issues with the authority (e.g., the taxation of certain transactions). The guidance and instructions provided by the Large Taxpayers' Office during these negotiations are binding, however, only if specific requirements set out in the Act on Tax Assessment are met. In practice, whenever the issues negotiated with the FTA are controversial, they end up being resolved in formal tax litigation proceedings. Therefore, a great majority of the complex tax disputes are resolved through extensive tax litigation. A tax dispute is initiated in all tax matters by filing a claim for adjustment against a first-stage tax assessment decision issued by the FTA. The request of a taxpayer is addressed in writing, and in some exceptional cases also orally. A claim for adjustment is then investigated by the Board. However, in the FTA's decisions issued in 2016 or earlier, the scope is more limited, applying only in matters relating to, inter alia, income taxation, inheritance and gift taxation and taxation on real estate. As an example, in VAT decisions issued by the end of 2016, the appeal is filed directly with an administrative court. However, the FTA then assesses such appeals as rectification matters at the first stage. In the event the FTA accepts the claim, the appeal is considered annulled. If, on the other hand, the FTA rejects the claim entirely or partly, the matter is further processed as an appeal matter in the administrative court. Taxpayers may also, on their own initiative, amend or correct tax returns filed with the FTA as long as the final tax assessment for the tax year is still open. As of 1 January 2017, the statute of limitations periods were largely harmonised. Accordingly, the general statute of limitations governing a taxpayer's right to appeal in tax matters is three years. The three-year period is, as a general rule, counted as of the end of the tax year assessed, for example, for tax year 2018 the three-year period will end on 31 December 2021. The former time limit of five years will, however, still be primarily applied to tax decisions and appeal proceedings concerning tax years up to and including 2016. Further, appeal proceedings regarding first-stage tax decisions issued 1 January 2017 or thereafter, based, for example, on tax audits concerning previous tax years, are assessed in accordance with the new legislative regime. The former general statute of limitations of five years was counted from the beginning of the calendar year following the tax assessment of any given tax year. For example, the date of completion of tax assessment for tax year 2016 was 31 October 2017. The period of appeal for tax year 2016 will expire on 31 December 2022. This is the last day of the appeal period, and the last day for any appeal under the former regime. Further, the tax recipients (the state, local municipalities, the church, etc. ), represented by the Tax Recipients' Legal Services Unit (the Unit), an autonomous entity within the FTA, are also entitled to appeal a tax assessment of any given taxpayer. The statute of limitations for the Unit's appeal is four months as of the completion of the tax assessment of a taxpayer for any given tax year. As an example, for tax year 2018, ending on 31 December 2018, tax assessment shall be completed by 31 October 2019 and accordingly the appeal of the Unit shall be filed by the end of February 2020. For tax years 2016 and earlier, the Unit's appeal is to be filed within a year of the end of the year of tax assessment of a taxpayer. As an example, for tax year 2016 the tax was assessed in 2017, and accordingly the Unit may file an appeal by the end of 2018. It is also possible that the FTA will seek to reassess a taxpayer's taxation on its own initiative (reassessment). As of 1 January 2017, the reassessment concerning tax years 2017 and onwards shall, as a general rule, be accomplished within three years of the end of the relevant tax year. The three-year limit of the FTA may be extended by one year, however, for example, where the tax assessment is considered to be impeded by the taxpayer, or if the matter requires the FTA's cooperation with other officials. In addition, an 'extended time limit' of six years may be applied in matters concerning, for example, transfer pricing or financing arrangements between related companies. Under the former regime, the FTA's income tax reassessment for tax years 2016 and earlier has to be accomplished in one, two or five years as of the year of tax assessment of a taxpayer. As an example, with a five-year period the reassessment for tax year 2016 has to be completed by the end of 2022. The time limit applied depends on the degree of guilt addressable upon a taxpayer, for example, the maximum time limit of five years is applicable in cases where the taxpayer has failed to properly file a tax return, or if the tax return or other document filed with the FTA has been false, incomplete or misleading. As of 1 January 2017, for tax years 2017 and onwards, the reassessment by the FTA may be carried also to the benefit of the taxpayer within three years of the end of the tax year assessed. For tax years 2016 and older, however, the maximum time limit of five years applies; the time limit is two years in cases where there has been a calculation or typing error by the FTA, or the incorrect taxation has been based on incorrect or incomplete information received from third parties. In other situations for tax years 2016 and older, the statute of limitations is one year. The statute of limitations for tax years 2016 and earlier have, however, varied depending on the tax matter in question. For instance, in VAT matters a taxpayer must appeal within three years of the end of the financial year in question. Furthermore, a taxpayer may appeal a tax assessment decision or a decision issued by an appellate body within 60 days of receiving notice of the decision, irrespective of whether the statutory limitation is exceeded. In many cases the taxpayer may seek to obtain certainty with regard to a specific tax question subject to interpretation by applying for an advance ruling from the Central Tax Board or the FTA. The Central Tax Board is an autonomous body within the FTA with the specific purpose of issuing advance rulings in tax matters. However, unambiguous or less important matters may be examined by the FTA itself. An appeal against an advance ruling by the Central Tax Board is filed directly with the Supreme Administrative Court, whereas an appeal against an advance ruling by the FTA is filed with an administrative court. The time limit for filing the appeal to both instances is 30 days. An advance ruling application may also be rejected, in which case no advance ruling is issued. A decision rejecting an advance ruling application may not be appealed. A taxpayer has the right to file a complaint to the chancellor of justice of the government or to the parliamentary ombudsman if the taxpayer considers a civil servant (fiscal agent) to have conducted an unlawful action. The chancellor and the ombudsman generally inform the authority of their view on the matter. Additionally, the said authorities may recommend that the decision is amended, but they do not have the power to overturn a decision. The Board is an independent body within the FTA. The Board functions in different units, each of which resolve appeals relating to various tax matters. As mentioned above, as of 1 January 2017, the primary appeal authority will be the Board regardless of the type of tax against which the taxpayer is appealing. The Board consists of members representing taxpayers' organisations, municipalities and the FTA. Much like in administrative courts, proceedings in the Board are mainly written, and in many cases, the tax dispute is finally resolved by the Board, without ever entering court proceedings. The FTA may, however, resolve an appeal addressed to the Board if the matter is so unambiguous that it does not require further examination. Such a decision issued by the FTA may also be appealed to an administrative court. As explained above, the decision of the Board (adjustment decision) may be appealed to an administrative court. The appeal period is determined in accordance with the general statute of limitations, and in cases where the general statute of limitations has expired, the appeal period is no less than 60 days from the decision by the Board. Administrative courts consist of independent professional judges. In general, all matters are resolved through written proceedings, even though the courts have the possibility to hold oral hearings. Oral hearings may be initiated either at the request of a party or on the court's own initiative. Although having an oral hearing is the main rule according to the law, it may be departed from if an oral hearing would be manifestly unnecessary in view of the nature of the matter or for another reason. Taking into consideration also the fact that tax matters have become more complex and may contain challenging legal questions, there are reasonable grounds to expect that the number of oral hearings held in tax proceedings will increase in the future. Decisions by the administrative court may be appealed further to the Supreme Administrative Court, which is the highest court of appeal in all tax matters in Finland. The period of appeal is 60 days from the decision by the administrative court. Appeals to the Supreme Administrative Court require a leave to appeal. Leave to appeal may be granted on the basis of precedential importance, a manifest error in the matter or weighty economic or other reasons. The judges of the Supreme Administrative Court include the president and 20 justices, as well as a few temporary justices. As in any other instance, the proceedings are primarily written, oral hearings being even rarer in the highest court instances. The most significant decisions are published annually in the Court's yearbook. Additionally, some decisions are published as short summaries. Instead of granting a final judgment in the matter, the Supreme Administrative Court may also remit the matter to the administrative courts or the FTA for a new hearing. In exceptional situations, it is possible to appeal a decision by the Board directly to the Supreme Administrative Court. This procedure is available upon decisions made on 1 January 2014 or later. Accordingly, the Supreme Administrative Court may grant leave to a direct appeal in cases considered important in order to establish a precedent for similar cases in the future, or for the uniformity of legal praxis. In cases where a direct appeal to the Supreme Administrative Court is sought, the Unit shall be reserved an option to issue its statement in the matter before referring it to the Supreme Administrative Court. As mentioned above, the Central Tax Board acts as an autonomous advance ruling forum within the FTA, and makes significant tax-related decisions in Finland. It may issue advance tax rulings in matters relating to income taxation and value added taxation. The advance rulings issued by the Central Tax Board have significant precedential value and many of them are published. The Central Tax Board consists of members representing the FTA, taxpayers' organisations and tax recipients. Rulings by the Central Tax Board are ordinarily issued within a couple of months from the date of the request. The rulings are considered binding only on those tax questions to which they relate. Therefore, it is important for the taxpayer to consider that the ruling for a previous tax year may not be applicable after the tax year in question. Advance rulings made by the Central Tax Board are appealed directly to the Supreme Administrative Court, and the appeal period is 30 days from receipt of the Central Tax Board's decision. In these appeals, no leave to appeal is required. The rules on punitive tax increase are scattered in different tax laws; however, gradually as of 2018 the varying stipulations are widely being harmonised. A punitive tax increase is imposed in matters relating to income taxation, real estate taxation, inheritance and gift taxation and transfer taxation. Further, specific stipulations are included in the Finnish Procedures Act on Payments of Unprompted Taxes2 relating to, inter alia, VAT and tax prepayment with, however, similar harmonised structure of stipulations to the other areas of taxation mentioned. It should be noted, however, that this harmonised regime is applied in matters relating to real estate taxation and transfer taxation only as of 1 November 2019. The exact dates of applicability should be reviewed in more detail case by case. As a rule, the FTA imposes a punitive tax increase if the taxpayer has failed to fulfil his or her tax-related obligations, unless the failure was only minor or there was a valid reason for the delay. The tax increase may, however, be remitted if it would be disproportionate under the circumstances. The tax increase shall be in general 2 per cent of added income or 10 per cent of added tax. It may also be increased if the failure of the taxpayer is repetitive or reflects gross negligence, in which case the tax increase shall be 3 to 10 per cent of added income or 15 to 50 per cent of added tax. On the other hand, the tax increase may be decreased if the case at hand is open for interpretation or unclear. Should a taxpayer request an adjustment on his or her own initiative and to his or her detriment, the tax increase is 0.5 per cent of added income or 2 per cent of added tax if the taxation period has expired. However, if the taxation period has not yet expired, a fee for late tax return is imposed instead of a tax increase. The fee is €50 for individual taxpayers and estates and €100 for corporate taxpayers. It may not be imposed if the filing of the tax return has been delayed for reasons that are not related to the taxpayer, if the failure is minor or if there was a valid reason for the delay. Certain significant punitive tax increases may also be payable regardless of whether there are any unpaid taxes claimed by the FTA. For instance, a failure to present transfer pricing documentation within a stipulated time frame may be sanctioned with a maximum amount of €25,000. It should also be noted that, from a human rights perspective, a punitive tax increase is considered a criminal penalty in Finland. The European Court of Human Rights has, on numerous occasions, considered punitive tax increases to be comparable to criminal sanctions. This notion naturally affects the discussion relating to the ne bis in idem principle. According to the said principle, the defendant cannot be prosecuted repeatedly on the basis of the same offence. The Finnish Supreme Administrative Court has stated, however, that the ne bis in idem principle only applies to individual taxpayers (natural persons) since only physical individuals can be sanctioned for tax crimes. The principle therefore does not apply to companies. In addition to actual tax penalties, penalty interest may be payable on unpaid tax amounts. In income tax matters, the general late payment interest is 7 per cent per annum (2018). Furthermore, penalty interest is payable for non-reported taxes in the electronic VAT and employer payroll withholding and reporting system at the rate of 7 per cent. Lastly, criminal sanctions may be imposed on the taxpayer in cases relating to severe tax evasion. Tax fraud occurs when an individual or business entity wilfully and intentionally falsifies information on a tax return in order to limit the amount of tax liability. Tax fraud essentially entails cheating on a tax return in an attempt to avoid paying the entire tax obligation. Aggravated tax fraud, being the most serious form of tax-related crime, is sanctioned with imprisonment for a term of at least four months and a maximum of four years. For non-aggravated tax fraud, the sanctions vary from fines to imprisonment for a maximum of two years. As for minor tax offences, they are generally sanctioned with fines. It should be noted that the monetary threshold for aggravated tax fraud is relatively low in Finland. According to legal praxis, monetary interests of some tens of thousands of euros have been considered sufficient for the tax evasion to qualify as aggravated tax fraud. The statute of limitations applicable in criminal proceedings can be longer than the ones applied in tax matters. For instance, aggravated tax crime becomes time-barred after 10 years. Also, a taxpayer found guilty of a tax crime may be ordered to pay damages to the tax recipients in respect of all the years that are not time-barred according to the statute of limitations applicable in criminal proceedings. It should be noted that in criminal matters, taxpayers have no responsibility to provide any evidence of their innocence, but the prosecutor has to fulfil its burden of proof. The overpaid income tax is generally refunded to a taxpayer as a tax refund if the taxpayer's tax withholdings or tax prepayments exceed the final amount of tax payable for the tax year in question. The refund is made approximately one year after the end of the relevant tax year or financial period. A refund of overpaid taxes may be possible even before the regular tax refund payment date upon a specific application. A separate refund application should expressly be filed with the FTA when a non-resident taxpayer has been charged withholding taxes in Finland that exceed the maximum level allowed under an applicable tax treaty and EU principles. A similar refund process also exists in matters relating to transfer taxes. Additionally, overpaid VAT may be refunded automatically to the taxpayer from the electronic VAT and employer payroll withholding and reporting system based on the periodic tax return filed by the taxpayer. The FTA issues a separate decision on the refund application only if it rejects the periodic tax return partially or entirely. This decision is subject to a separate appeal. In Finland, the vast majority of administrative appeals in tax matters relate to the interpretation of the technical tax rules applicable in the case at hand. In recent years there have been number of significant tax disputes dealing with tax avoidance, transfer pricing and whether certain transactions could be re-characterised based on a specific transfer pricing rule in Finnish tax legislation. The FTA has adopted approaches and interpretations deviating from the ones adopted by taxpayers in general. The matter is further discussed below. Additionally, there are a number of examples from case law that relate to, for example, the protection of the taxpayer's legitimate expectations in cases where the taxpayer has relied on an established tax practice or advice issued by the FTA. The protection of legitimate expectations secures the realisation of the binding foundations of the Finnish tax system, and, as an established norm, must be taken into consideration by the FTA in its decision-making. A claim based on the protection of legitimate expectations may succeed if a decision by the FTA conflicts with its earlier advice or an established practice. Further, the rules on the taxpayers' obligation to provide information to the FTA are currently being broadly discussed, and there are significant pending disputes addressing that issue. The taxpayer and anyone whose taxation is directly affected by an assessment decision issued is entitled to plead the case in the appellate proceedings. In practice, this requires an actual tax impact in the specific case at hand upon the appellant. For example, the spouse of an individual taxpayer may have a right to appeal on this basis, and similar cases may arise in relation to partnership and bankruptcy estates. In these cases, a question of consequential change may be applicable. If a tax decision of a taxpayer affects the taxation of another, the FTA may reassess the latter's taxation accordingly. In VAT matters, a person subject to VAT may file an appeal in the tax process in relation to a VAT matter reported by him or her. Specific conditions may apply upon a seller and a buyer in sales transactions and should be considered on a case-by-case basis and accounted for in entering transfer agreements. Applicability of a specific set-off possibility as per the Finnish Value Added Tax Act should be considered in cases where the VAT has been executed erroneously between the parties of a sales transaction. In general and as explained above, the tax recipients (the state, local municipalities, the church, etc.) are represented by the Unit. The Unit is not bound by the decisions and guidelines of the FTA, and has a right to appeal tax assessment decisions as well as act on behalf of the tax recipients in all tax appeal matters. The Unit is divided into three groups: personal taxation and tax prepayment; corporate taxation; and VAT matters. It should be noted that the Unit has the right to appeal tax decisions to the benefit of a taxpayer as well. Respectively, taxpayers may request the reassessment of a tax decision on their own initiative on the basis of not having paid sufficient amount of taxes. Taxpayers have the right to claim compensation for their tax litigation costs. It should be noted, however, that the right only applies to court proceedings; administrative proceedings leading up to the court proceedings, including proceedings in the Board, are excluded from this rule. In addition, a successful claim for compensation usually requires that the taxpayer succeeds in his or her principal claim, the matter has significant value relating to the interpretation of law, or that granting such compensation can be based on another special ground. Tax litigation costs are therefore, in practice, rarely compensated even in cases where the final decision is in favour of the taxpayer. This situation stems directly from administrative procedural legislation according to which a party should be held liable for the other party's legal costs only if, in view of the resolution of the matter, it would be unreasonable to make the latter bear his or her own costs. The interpretation of this standard has been strict, and any possibility to recover legal costs has typically required an obvious error by the FTA. Even in these cases, the compensated costs are often limited to a nominal amount. Respectively, the chances of the FTA recovering any costs from the taxpayer are extremely slim. Under current procedural rules, a private party should not be held liable for the costs of a public authority, unless the private party has made a manifestly unfounded claim. The starting point is understandable and pertains directly to the fact that the tax authority is always in a stronger position in such proceedings. These rules have, however, caused administrative litigation, especially tax disputes, to significantly differ from civil litigation as the principle of full compensation does not materialise. Until now, means of alternative dispute resolution, such as arbitration or mediation, have not been utilised in tax disputes in Finland. However, the Council Directive (2017/1852/EU) on Tax Dispute Resolution Mechanisms in the EU, which seems to echo the sentiment and aim of the OECD/G20 Base Erosion and Profit Shifting (BEPS) project to improve dispute resolution mechanisms and minimise risks of uncertainty and unintended double taxation, is currently in the process of being implemented in Finland. According to the government bill, the implementation is carried out by enacting of a new Act on Dispute Resolution Mechanisms in International Tax Disputes. The proposed Act stipulates an alternative dispute resolution procedure that may be applied to cross-border tax disputes relating to the interpretation of double taxation conventions or the EU Arbitration Convention (90/436/EEC). 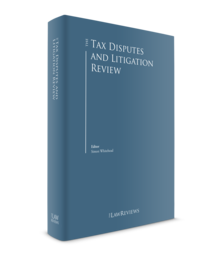 The relevant parts of the procedural rules are also applied to the alternative dispute resolution procedures stipulated in the double taxation conventions and the EU Arbitration Convention. The Act is proposed to enter into force on 1 July 2019 and the procedure would be available to complaints that are filed on 1 July 2019 at the earliest and concern tax years beginning 1 January 2018 or later. In light of the multilateral instrument (MLI) implementing the OECD measures and transposing the results from the BEPS project and the mandatory binding arbitration provision therein, even though Finland signed the MLI, there are number of reservations about the arbitration proceedings conducted by Finland. It should be noted, however, that arbitration may also be carried out in accordance with the EU Arbitration Convention, which may be applied to transfer pricing disputes. Finnish tax legislation includes a general anti-avoidance rule for the purpose of preventing tax avoidance. According to the rule, the legal form of a situation or a measure that does not correspond to the true nature or purpose of the matter shall be taxed as if the correct form had been used. In order to avoid the application of the anti-avoidance rule, the arrangement in question must have legitimate business-related justifications instead of mere tax-related reasons (i.e., business reasons). When applying the anti-avoidance rule, the legal form of an action may be disregarded for tax purposes, in which case the amount of tax will be assessed as if the transaction had been carried out using the correct form. The FTA and the courts apply the principle of substance over form as stated in the tax legislation. If the FTA concludes that there is no adequate business reason underlying a transaction between related companies, or that a transaction has been given a legal form that does not correspond to its true nature, it may consider the transaction to be null and void for tax purposes, and assess the amount of tax as if the real form had been used. Disregarding form for tax purposes does not affect the validity of the transaction as such, but it may still be regarded as valid under company law and for other legal purposes. If it is evident that a company has paid its shareholder more than a reasonable amount as salary, housing benefit, entertainment or insurance, or if the company pays its shareholder interest, lease payments, commission or other such benefits, and the amount exceeds what the company would ordinarily pay to third parties, the amount of tax may be assessed based on the amount that the tax authority deems to be in excess of the reasonable amount. This type of conduct is referred to as hidden profit distribution. If the FTA concludes that the arm's-length principle has not been observed in transactions between related companies, the taxation of these companies may be corrected and reassessed to reflect the arm's-length conditions (transfer pricing). This reassessment does not require any evidence of tax-avoidance. Finnish subsidiaries and branches of non-resident companies are treated similarly to resident companies. In addition to general anti-abuse rules (GAAR), Finnish tax legislation includes some specific rules (SAAR) implemented to complete the GAAR legislation. However, even though Finland has an extensive network of double tax treaties, the treaties Finland has entered do not include GAAR, nor do they have any stipulations as to the applicability of the Finnish GAAR in the tax treaty environment. In light of this, even if there may be various views, it can be concluded the Finnish GAAR may be applied in casu in denying the tax treaty benefits, but only with respect to clear tax avoidance schemes. Further, Finland has signed the Multilateral Convention to Implement Tax Treaty Related Measures to prevent BEPS (MLI) with specified effects upon the tax treaties of Finland. In terms of treaty abuse, however, Finland has chosen to take the Principal Purpose Test approach: that is, the denial of all or part of the benefits that would otherwise be provided based on a tax treaty, where the principal purpose or one of the principal purposes of any arrangement or transaction, or of any person concerned with an arrangement or transaction, was to obtain those benefits. Finland is within the purview of the EU Anti-Avoidance Directive (ATAD), as amended by the second directive (ATAD II). What is interesting to note is the fact that the GAAR by ATAD contains, inter alia, the 'main purpose or one of the main purposes' formulation, whereas the threshold to apply the Finnish GAAR is higher as it can be applied when basically the only purpose of the arrangement is the avoidance of taxes. Finland has an extensive network of double taxation treaties in the areas of income and capital taxes. The treaties are based on the OECD Model Convention. Finland's tax treaties are based either on the resident state principle or the source state principle, which is in line with Finnish domestic tax legislation. Finnish domestic law does not include any special rules concerning the interpretation of tax treaties, but the interpretation is based on the Vienna Convention, the OECD Model Convention as well as basic domestic principles governing the interpretation of Finnish tax legislation. The Supreme Administrative Court acts as the final forum to interpret tax treaties in Finland. It should be noted that the Supreme Administrative Court has effectively applied the OECD Model Convention in its rulings, because of which the Convention should be considered a source of interpretation for the Court. The role of the OECD Transfer Pricing Guidelines (the OECD Guidelines) and its commentaries is more unclear, however, and the question of the relevance of these guidelines as a source of interpretation in Finnish taxation proceedings remains ambiguous. For instance, the FTA has drawn rather far-reaching conclusions in transfer pricing cases from relatively vague statements in the OECD Guidelines, whereas the Supreme Administrative Court has in its 2014 ruling stated that the OECD Guidelines cannot extend the scope of national legislation to the detriment of the taxpayer. This statement is currently applied as the general rule in transfer pricing matters. There have been a number of significant decisions by the European Court of Justice regarding tax matters in Finland, which ultimately serves as proof of the influence that EU principles have on Finnish tax regimes. It can be noted, however, that there is some reluctance in adopting the EU principles or decisions by the European Court of Justice. For instance, in its 2002 ruling the Supreme Administrative Court rejected an appeal regarding a tax assessment where a Belgian subsidiary of a Finnish company had been treated as a controlled foreign corporation for Finnish tax purposes without referring the matter to the European Court of Justice. Based on a later ruling by the European Court of Justice in the matter C-196/04, Cadbury Schweppes, the Supreme Administrative Court finally annulled its decision in 2011. The European Court of Justice ruled in July 2013 in its decision in the case C-6/12 P Oy that the Finnish tax loss carry-forward system, whereby the FTA has its own discretion based on its own guidelines to decide which companies get the permission to use the tax losses forfeited due to an ownership change, was not against the illegal state aid provisions provided by EU law. As a Member State of the European Union, Finland has implemented the VAT Directive in the Finnish Value Added Tax Act. In principle, all resident entrepreneurs who are engaged in the commercial supply of goods or services are subject to VAT and are required to register for VAT purposes. However, suppliers of selected goods and certain services are exempt. The system is based on self-assessment by registered entrepreneurs. Entrepreneurs are required to pay VAT even when their products are used for private purposes or given as free gifts. The general VAT rate is 24 per cent. Reduced rates of 14 per cent and 10 per cent apply to, for example, restaurant services and transport services. There are a large number of exemptions from VAT, such as financial services and the sale of real property. In addition, a VAT threshold system has been incorporated into the Finnish tax system according to which there is no obligation to register for VAT purposes, and no VAT is levied on the taxpayer if the annual turnover of the taxpayer's business activity does not exceed €10,000. When this threshold is exceeded, the taxpayer receives a relief that gradually decreases with the increase in turnover. The full amount of VAT is levied if the annual turnover is currently €30,000 or more. Following the relatively aggressive approaches taken by the FTA in past years in focusing on transfer pricing matters, there has been somewhat of a change towards the assessment of various procedural rules and regulations. The means applied by the FTA in its aim to intensively collect revenues are increasingly questioned by the taxpayers. Transfer pricing and allocation of income in a group structure continue to be topical in the Finnish tax practice. Various holding structures, including reinvestments in acquisitions structures in connection with mergers and acquisitions are also actively scrutinised by the FTA. Further, in private equity, traditional carried interest arrangements are very much in the focus of the FTA and should be carefully considered both looking back as well as going forward to assess and prepare for the potential approaches to be taken by the FTA. In a very recent ruling by the Helsinki administrative court, a company in the wind farming industry was issued a feed-in tariff by the Finnish Energy Authority. In the claim made by the Finnish Tax Recipients' Legal Services Unit it was insisted that the company had in fact committed to produce electricity against the state-contributed feed-in tariff and therefore the feed-in tariff was to be a counterpart to the sale of such service (to the Finnish Energy Authority). It was further claimed that the feed-in tariff received by the company should be considered a subsidy directly linked to the price of the electricity sold by the company. The subsidy should thereby, according to the claim, be treated as a consideration to be added to the VAT base of the sales by the company. The claim was dismissed yet the decision of the Helsinki Administrative Court can be appealed to the Supreme Administrative Court. The final decision will have definitive impact widely in the renewable energy sector and it will create an important precedent in outlining the scope of the VAT Act and the VAT Directive. The Supreme Administrative Court issued two important rulings in 20163 that relate to structuring and financing arrangements applied in corporate structures with Finnish branches as well as tax planning questions therein. The rulings concerned the deductibility of interest expenses on group internal loan financing, allocated to a Finnish branch of a non-Finnish corporate entity, based on a shareholding by the branch in a group subsidiary. In the first case, it was ruled that the shares did not constitute assets allocable to the branch, and, therefore, as a result the interest on the loan was not deductible. In the second case, the Finnish GAAR was applied, and it was ruled that the underlying series of arrangements were, when considered constituting a whole, artificial, and thereby there was no deductibility of interest admitted. Further, the Helsinki administrative court ruled in its interesting case of August 2017 on the FTA's request to access the Panama papers. In brief, the FTA requested a full surrender of, and access to, the documents leaked by an anonymous source, handing the material over to German newspaper Süddeutsche Zeitung, analysing the data thereafter in cooperation with the International Consortium of Investigative Journalists. The court ruled that the FTA had no right to demand the data for the tax assessment purposes. This case has been appealed and is, therefore, still pending, although the final ruling is expected early in 2019. Very recently the SAC issued yet another precedential case (2018:173) concerning transfer pricing. In its ruling, the SAC stated that contrary to what the FTA had argued, the Transfer Pricing Guidelines issued by the OECD in 2010 could not be applied in a case that concerned the selection of valuation methods by the company in tax years 2006–2008. The SAC held that the Transfer Pricing Guidelines of 1995 were to be applied, as they had been issued at the time when the company's tax returns in question were due. Thus, it follows from the ruling that the selection of valuation methods cannot be assessed in the light of such guidelines that have been published only after the methods in question were selected and applied in the tax years assessed. Consequently, the amendments made to the OECD Guidelines in 2017 should not, as a principal rule, be applicable to intra-group transactions carried out in 2016 or earlier. The Supreme Administrative Court issued two precedential cases (2017:145 and 2017:146) concerning transfer pricing of intra-group services. The first ruling referred, inter alia, to the principle according to which the specific Section in the Act on Tax Assessment concerning transfer pricing adjustments does not authorise a re-characterisation of a transaction, and, therefore tax assessment shall first and foremost be based on the legal form of a transaction. The second case also concerned the pricing of intra-group services and whether a margin was to be charged under the circumstances. It was concluded that there was margin to be added and that margin was to be based on the value added to the group companies being served. Further, based on SAC, in terms of group internal services like the ones scrutinised, there are no comparables available. Further, it should be noted that Finland is currently in the process of implementing the EU Anti-Tax Avoidance Directive (ATAD, 2016/1164/EU). The ATAD has brought about legislative amendments especially with regard to interest deduction limitation and taxation of controlled foreign companies (CFCs). The amendments will enter into force on 1 January 2019. Finally, it can be stated that the various ongoing and newly introduced legislative reforms will likely give rise to divergent interpretations also in the future, which could lead to an increasing amount of tax disputes. 1 Jouni Weckström is a partner at Waselius & Wist. 2 In Finnish: laki oma-aloitteisten verojen verotusmenettelystä (9.9.2016/768, as amended). 3 Rulings SAC 2016:71 and. SAC 2016:72 relate to the allocation of shares and interest deductibility by a Finnish branch of a non-resident company. In the latter ruling, the Supreme Administrative Court also took a stand on the arrangement's artificial nature under the anti-avoidance provision.